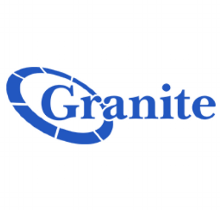 QUINCY, Mass.--(BUSINESS WIRE)--Granite Telecommunications, LLC, a provider of communications solutions to businesses and governmental agencies, announced today that it surpassed its 2017 fiscal goal of $1.35 billion in annualized revenue. In recognition of the hard work and commitment from its teammates in achieving those goals, the company will issue $1,350 bonus payments to them in advance of the upcoming holiday season. The continued strong growth in Granite’s revenues stems from continued increasing demand for Granite’s data, wireless and managed services as well as continued demand for Granite’s traditional voice offerings. Last quarter, Granite announced that it was one of just a handful of service providers picked to supply $50 billion worth of next generation voice and data products to governmental agencies over the next 15 years. In 2017, Granite opened a new office in Philadelphia, PA, tripled its office space in Providence, RI, and is now opening an office in Washington, D.C. Granite has hired more than 400 employees already in 2017 and has over 250 job openings that the company is looking to fill. 2017 marks the seventh consecutive year that Granite has achieved goals of $100 million or more in annualized revenue growth. Granite provides voice, data and other related communications products and services to multi-location businesses and governmental agencies throughout the United States and Canada. Granite furnishes services to more than two-thirds of the Fortune 100 companies in the United States, and 1.5 million voice and data lines under management. Granite employs over 1,800 people at the company’s headquarters in Quincy, MA, and offices in Atlanta, GA, Chicago, IL, Dallas, TX, New York, NY, Orlando, FL, Philadelphia, PA, Providence, RI and West Palm Beach, FL. For more information, visit www.granitenet.com.